Posted Nov 24, 2018 by Eds. Rommens was director of research at Simplot Plant Sciences from 2000 to 2013 where he led development of the company’s genetically engineered Innate potato. 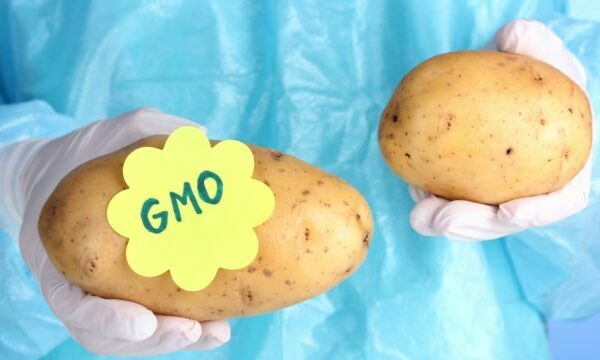 But over time, Rommens started to have serious doubts about his work and worried about potential health risks from eating the GMO potatoes, which are now sold in 4,000 supermarkets in the U.S.
Rommens’ concerns about the GMO potato led him to write a book, Pandora’s Potatoes, which was recently published. The book is a case study on how a scientist’s initial enthusiasm about genetic engineering turns to doubt and fear as he realizes the hazards the technology can create. CR: Silencing is not gene-specific. Any gene with a similar structure to the silencing construct may be silenced as well. It is even possible that the silencing that takes place inside the GM potatoes affects the genes of animals eating these GM potatoes. I am most concerned about bees that don’t eat GM potatoes but may use GM potato pollen to feed their larvae. Based on my assessment of the literature, it appears that the silencing constructs are active in pollen. 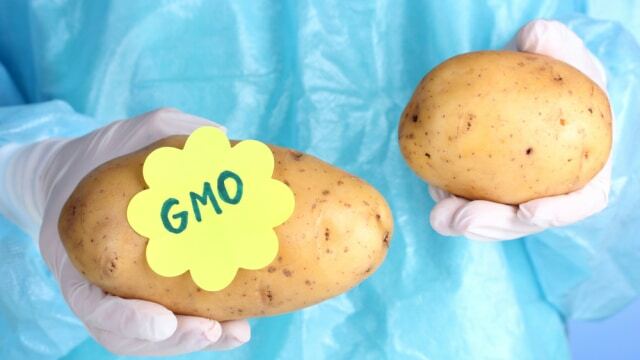 In your book you write that the GMO potatoes don’t eliminate bruising but just conceal it. Please explain. In addition to the claim of eliminating bruises, Simplot says the Innate potato provides “protection against late blight pathogen,” and “reduced asparagine, which contributes to reduced acrylamide in cooked potatoes.” What are your reactions to these claims? The title of your book is Pandora’s Potatoes. What led you to choose this title? CR: During the five years after my departure from Simplot, I realized that I had not been rigorous enough in considering the possibility that my modifications might have caused unintended effects. I then studied the publicly available literature that was relevant to my past work, and identified a number of issues that had been hidden from my view. My GM potatoes had “hidden” issues—like Pandora’s Box. CR: The problem with CRISPR is that it changes the function of a gene in all tissues of an organism. This is a very important limitation, because gene changes are mostly “useful” only if implemented in a single tissue. I am most hopeful in the efforts of small companies such as Solynta (A Dutch company that has developed an innovative non-GMO technology for targeted breeding of potatoes). The main benefit of Soylnta’s approach is that it breeds potatoes that have a simpler genetic structure than cultivated potatoes—more like that of wild potatoes—so that genetic traits can be combined much more effectively.